9:30-9:50 “The PROSPELASIS project: Approach, results, lessons learnt”. 10:10-10:30 “Principles governing Monument interventions”. 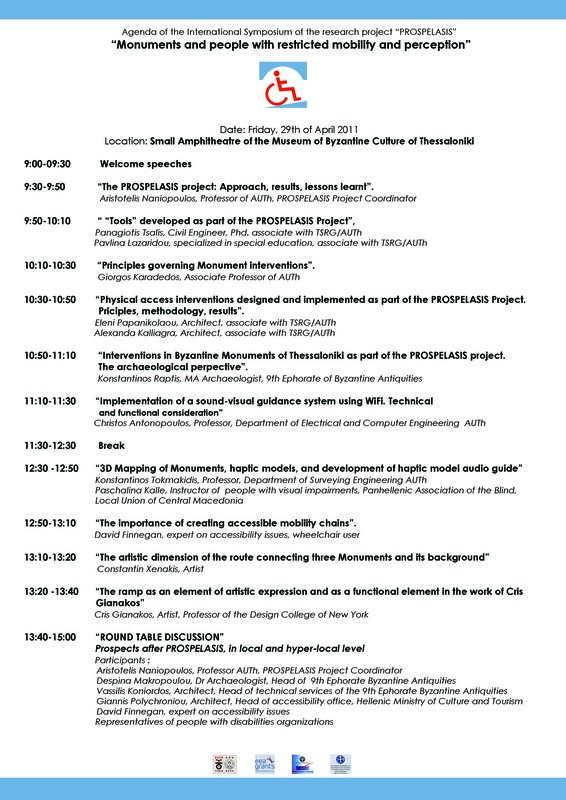 10:30-10:50 “Physical access interventions designed and implemented as part of the PROSPELASIS Project. Principles, methodology, results”. 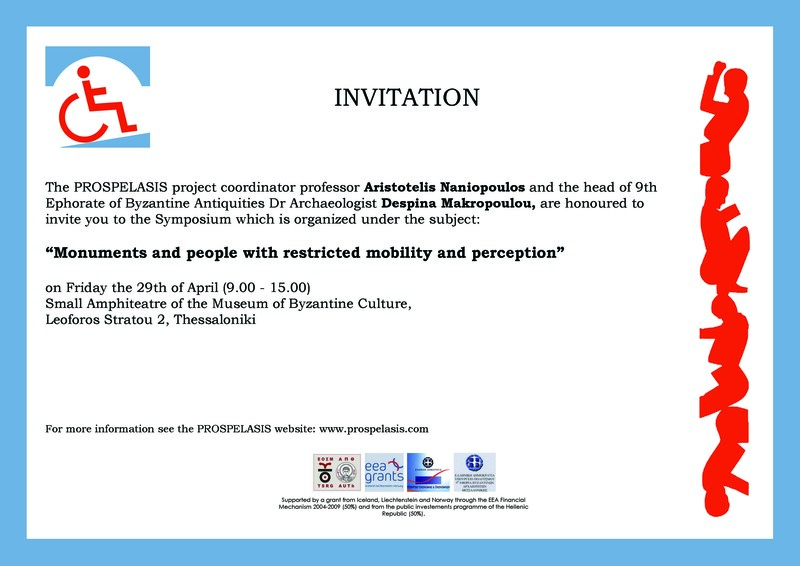 10:50-11:10 “Interventions in Byzantine Monuments of Thessaloniki as part of the PROSPELASIS project. The archaeological perpective”. 12:50-13:10 “The importance of creating accessible mobility chains”.